Hand rinse units are designed for recessing into a wall in situations where soap and hot air facilities are not required, both models are supplied with a waste fitting and through wall fixings. 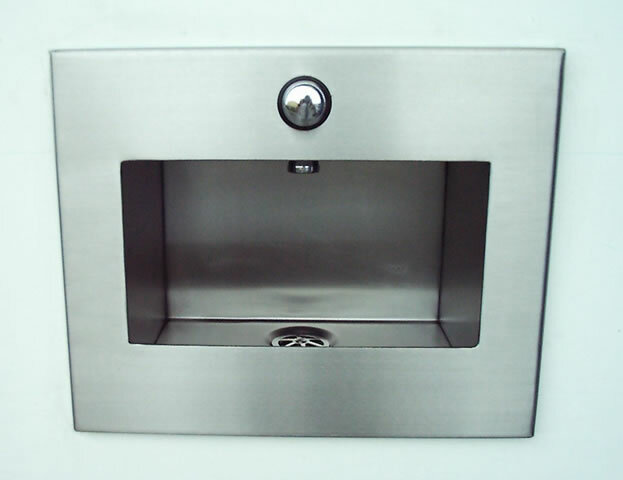 The standard hand rinse unit is supplied with a push button timed flow valve ready for connection to a pre-mixed water supply, the secure facility hand rinse unit is purpose designed for use in secure establishments and incorporates many advanced features, including a clog resistant waste and an electronic control unit to prevent deliberate flooding. Delivery time is usually about 10 working days from order, with free packing and carriage to the UK Mainland.